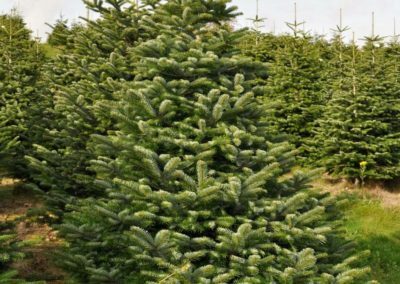 The Nordman Fir (also spelled Nordmann, 邏 Abies Nordmanniana) has cemented it’s place as Britain’s favourite Christmas tree, so we think it’s about time you learned a bit more about this popular variety. 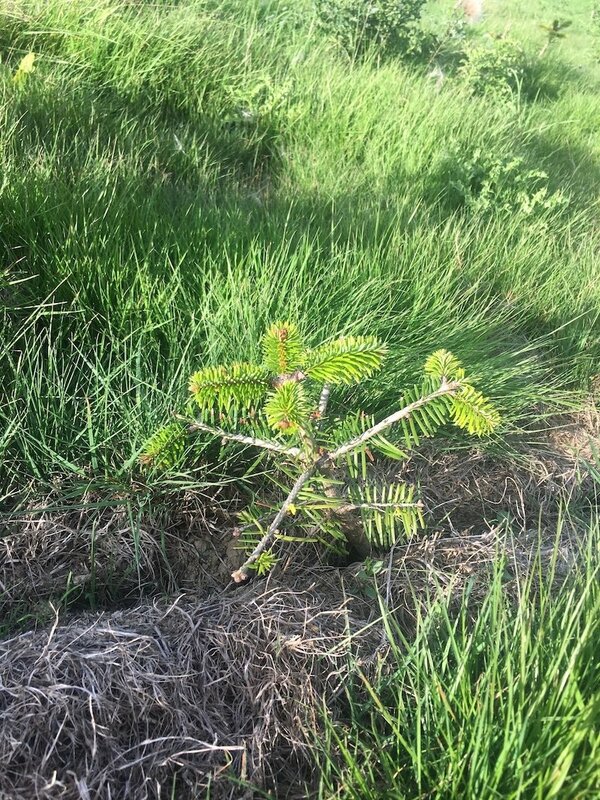 Sometimes called the Caucasian Fir, that should give you a clue as to it’s native home; the mountainous regions of the Russian Caucasus, Turkey & Georgia, around the Black Sea. 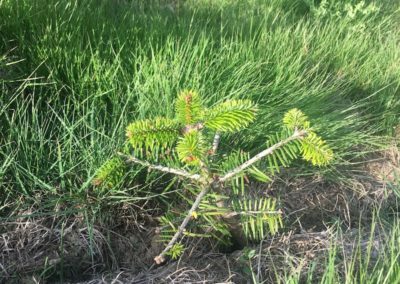 As well as being used in public parks and gardens, it’s now cultivated across the world for use as, you guessed it, a Christmas tree – more on why it fits the bill so well below. In it’s early years the Nordman grows in a very neat, conical shape, with concentric rings of branches being added with each year’s growth. The result is a very symmetrical and aesthetically-pleasing tree, which is just one of the reasons it’s favoured for Christmas. 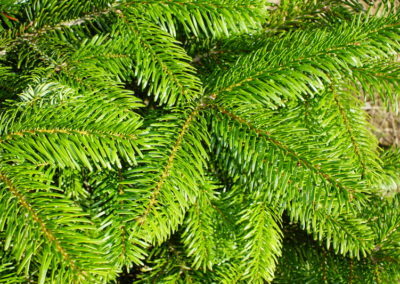 The foliage is a deep dark green, and the needles are relatively broad (especially compared to spruces) and very soft. The upper side of the needles also have a waxy coating, which gives them glossy finish and also means that the tree can be better for those with allergies. 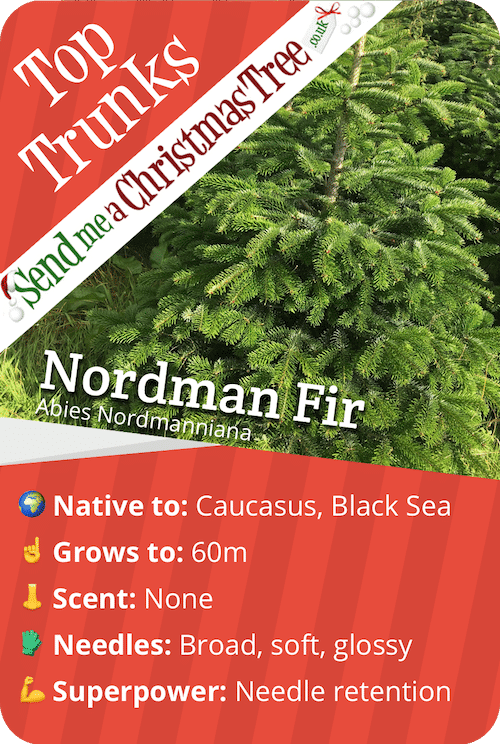 Left to their own devices, Nordmans can grow up to around 60m tall, but when cultivated as a Christmas tree they tend to have quite a bushy, even ‘fat’ appearance. On our Sussex soil, they grow at a rate of around 1-2ft per year. 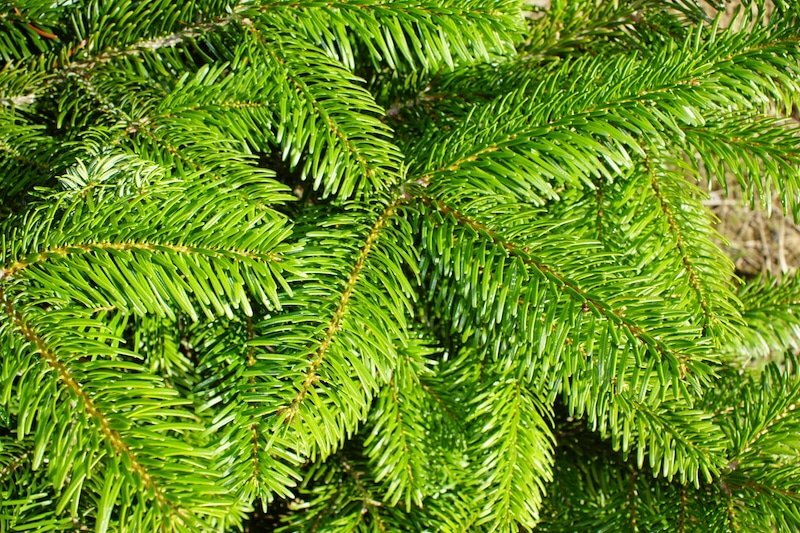 To identify your tree as a Nordman Fir, take hold of some of the foliage. The needles should be soft and rounded on the end, and flat. The upper side will be a glossy dark green, with the underside more of a blue-green. The Nordman won’t have much of a smell, unlike other varieties. 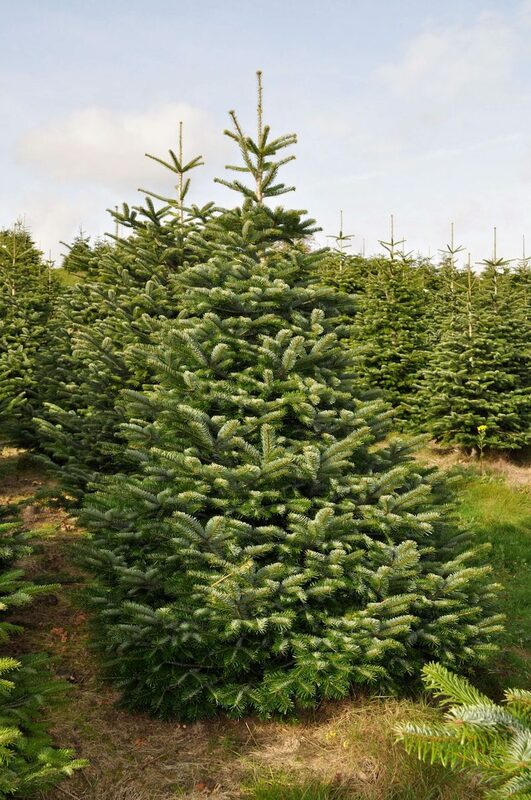 Far and away the biggest reason that the Nordman Fir is so popular is because it’s great at retaining it’s needles. This is easily the number one non-drop Christmas tree; even when it starts to dry out the Nordman will hold on to it’s needles relentlessly (though we’d always recommend keeping your tree watered so it looks nice and fresh). Soft needles (not spiky for you or the kids). To order one of our beautiful, Sussex-grown Nordman Firs online, click below. You can choose your delivery date and we offer free delivery across the UK mainland.